The Best in Digital Delivery! CaptureLife is the digital delivery experience that today’s customers want. With CaptureLife’s cutting edge mobile app, you now have the ability to deliver your amazing images in a modern, intuitive, and interactive package. It’s an entire photo experience delivered directly to your customer’s smart phone! Best of all, it’s directly integrated into our ROES and FLOW software for a streamlined workflow solution! With CaptureLife, you eliminate to the need for outdated CD and USB file delivery, instantly giving your customers a superior experience at a lower cost. 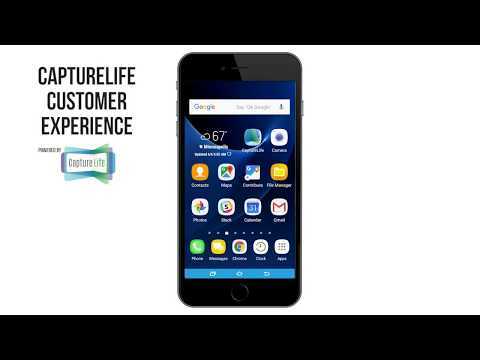 The CaptureLife app is a fully-featured mobile experience that lets your customers build memories over time with one-click access to our online print store built right into the app. Orders placed through our print store earn CaptureLife credit for you, and provide professional quality photographic products for your customers! CaptureLife digital delivery is already integrated into your FLOW and ROES software. Once your CaptureLife account is connected to Richmond Pro Lab, you can order deliveries a la carte, or add them to the packages in your high-volume workflow. Connecting through Richmond Pro Lab gives you access to our low credit pricing, software integrations, and pro-quality print store. You’ll need to capture your customer’s phone number and/or email address in order to deliver through CaptureLife. Once you submit an order to the lab that includes CaptureLife deliveries, your customers are immediately notified via text or email that their images are ready to view – deliveries are not delayed until print orders are shipped! Pricing is per credit, where 1 credit allows delivery of 1-9 images to a single recipient. Billing for credits is not done through ordering software, but is billed to your lab account with Richmond Pro Lab at the end of each month. A 10% commission* for print store sales is awarded as credit for future CaptureLife deliveries on your account. Click the the button below to get started, or contact Customer Service for more information. *10% commission is awarded as credit for future CaptureLife delivery and is based on products and services ordered through the Upload Arts print store within CaptureLife online or the CaptureLife app. Commission is not awarded for shipping costs and is subject to any sales or promo codes active for the print store. Commission for print store sales is deducted from your next monthly bill for CaptureLife credit usage. For more information or assistance, contact Customer Service.